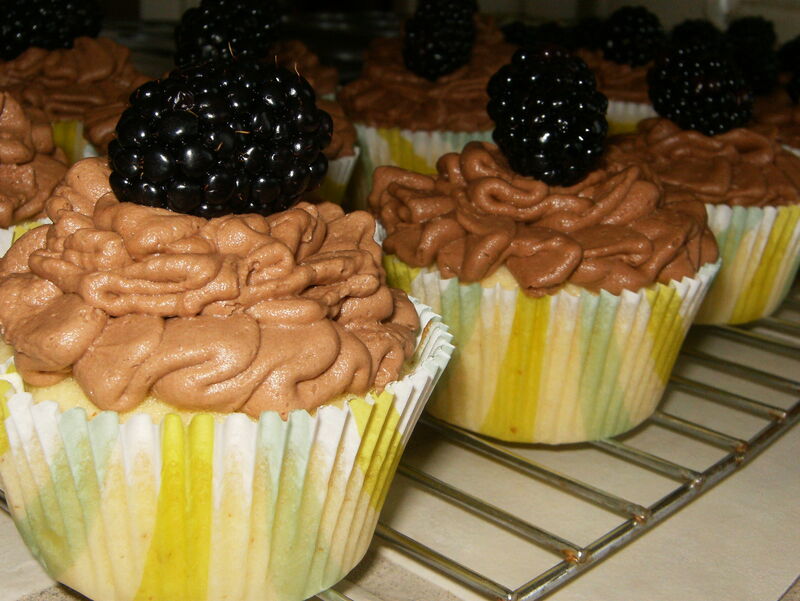 Almond Cupcakes with Chocolate Buttercream and Blackberries | Cupcake Villains Strike Again! *To grind your almonds, simply put them in a food processor until mealy and you can’t see any large chunks of brown skin. Here’s what the ground almonds should look like. Cream the butter and sugar together until light an fluffy. Add the eggs, one at a time, combining thoroughly after each addition, but don’t over mix. Farm-fresh eggs made a very yellow base batter! 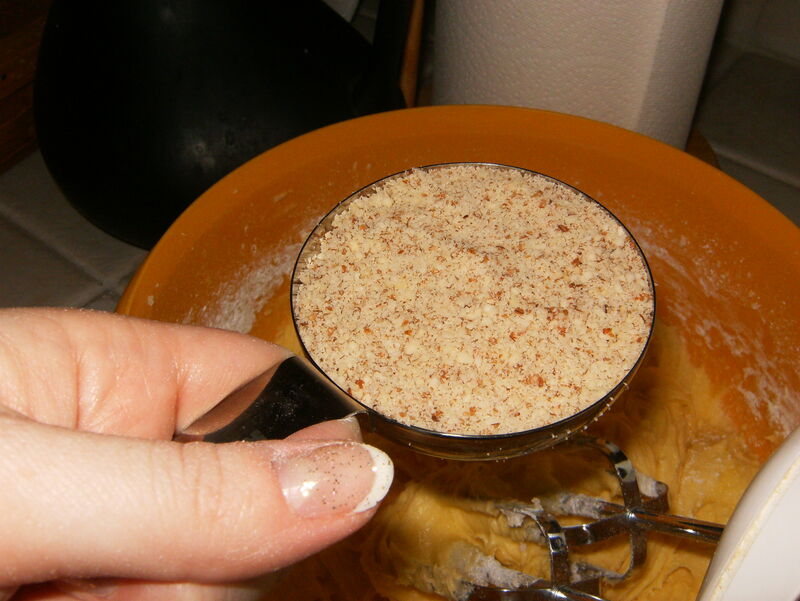 In a separate bowl, combine the dry ingredients (flour, ground almonds, baking powder, salt). Likewise, measure out the milk and add the vanilla and almond extracts to the measuring cup. 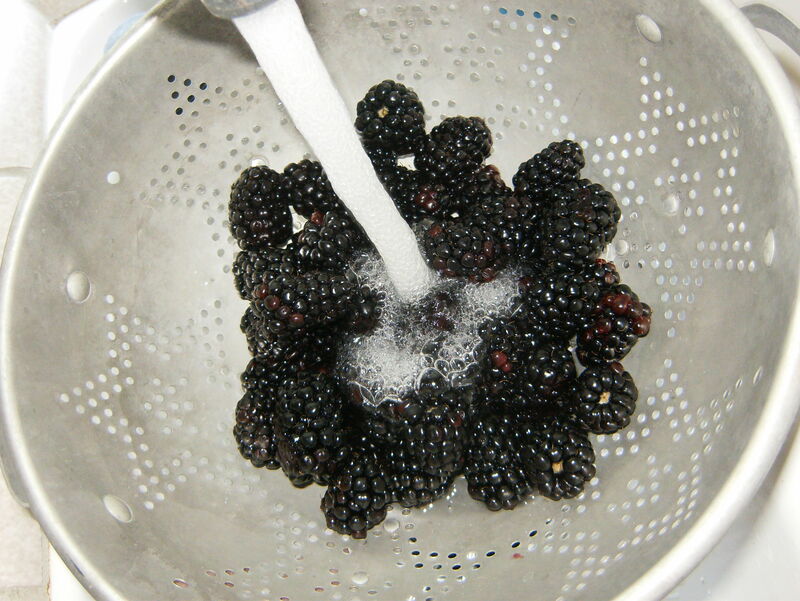 Alternately add the dry and wet ingredients in small batches until all combined. Again, don’t over mix…this can lend to dense cupcakes. It’s OK to have a few lumps here or there; they’ll even out when baking. Fill your prepared pans 2/3 full. 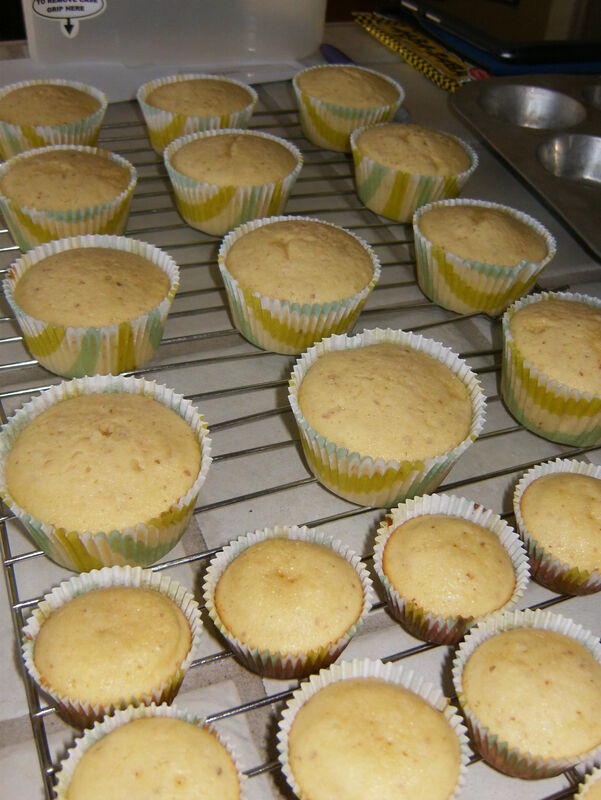 Bake for 12-15 minutes for mini cupcakes or 18-22 minutes for regular-sized cupcakes. Either way, test with a toothpick for gooey insides before taking out of the oven. 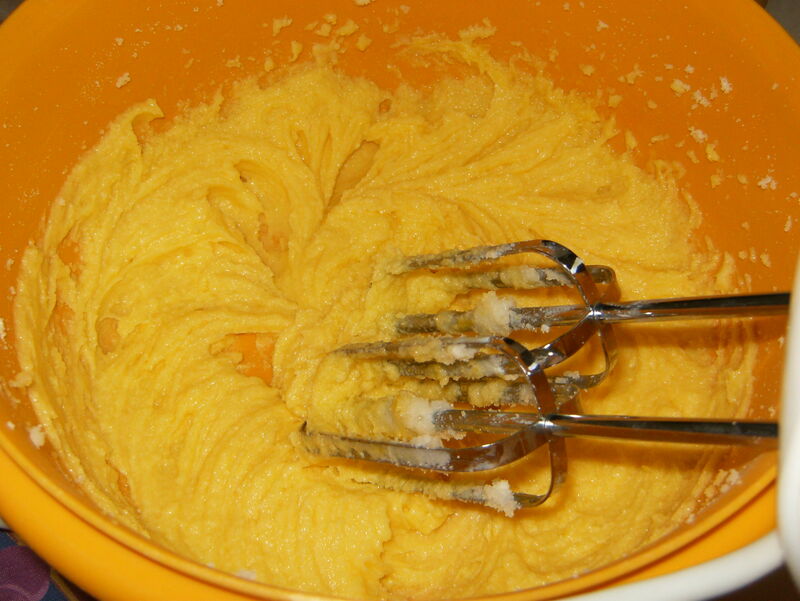 Standard frosting procedure: combine shortening and butter until smooth and creamy. Add the cocoa powder, then the powdered sugar slowly until a fluffy consistency and agreeable taste is reached. Add the milk , beating in with the mixture. Correct the taste and texture accordingly with more powdered sugar, if needed. I tried a new piping method with a new tip! I used a Wilton #104 to make a ruffled decoration. 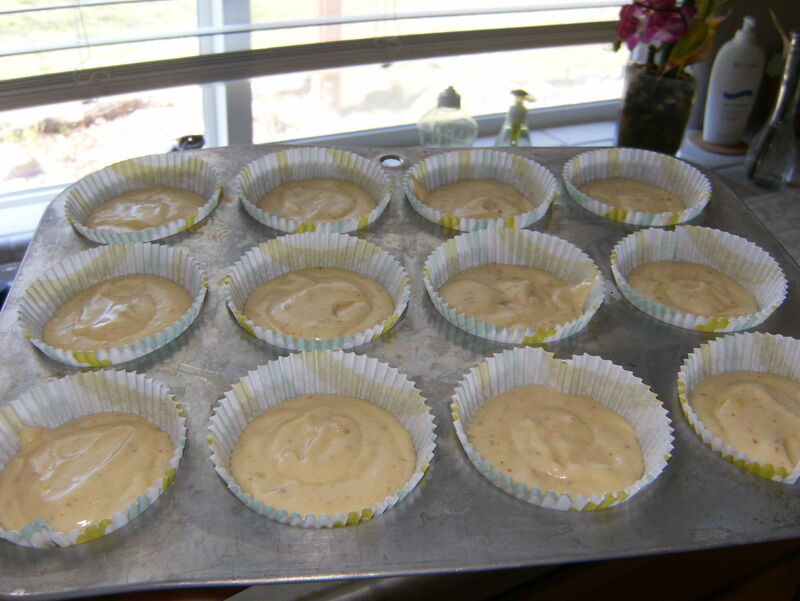 Once you’ve filled your piping bag, place the wider end of the petal tip toward the outer edge of the cupcake. 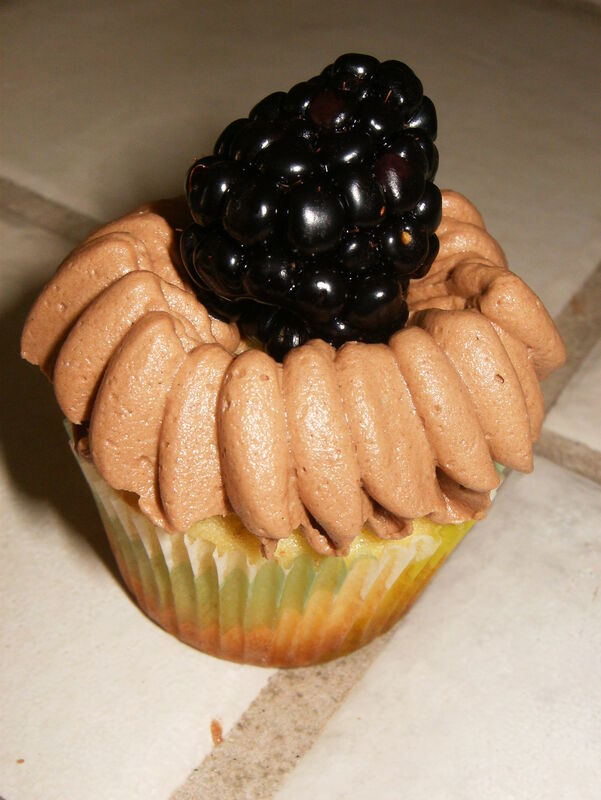 Pipe the frosting on, make ruffles as you turn the cupcake. Complete three different layers to come up with a nice, stacked ruffle! 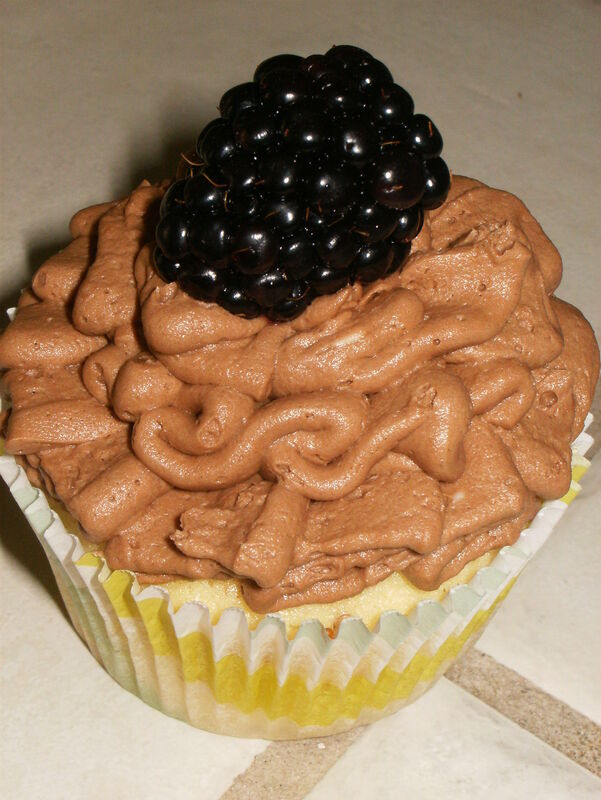 Place a blackberry in the middle of the frosting to bring the whole thing together.